Another cute gift idea from Birdorable! How darling! 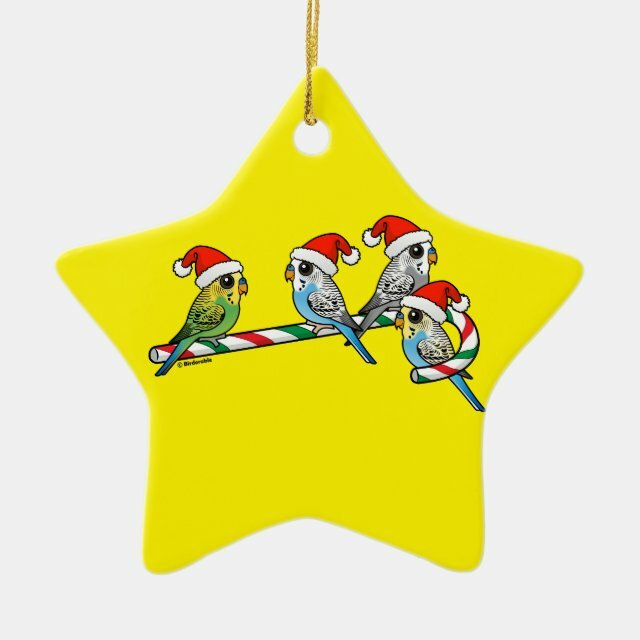 Four cartoon Budgerigars perch together in holiday style! Each budgie sports a fluffy red and white Santa Claus hat -- and they are all perched on a candy cane! You can customize this gift! Move the design around, change the product color or style, add text or images -- make it your own! If you'd like to see this cute holiday parakeet design on a different product not currently available, please send us a message and we can make the product available in our store.